It's often mentioned how difficult it is to find things to make for men, and yet I never seem to have any trouble finding lots of great ideas out there for guys. 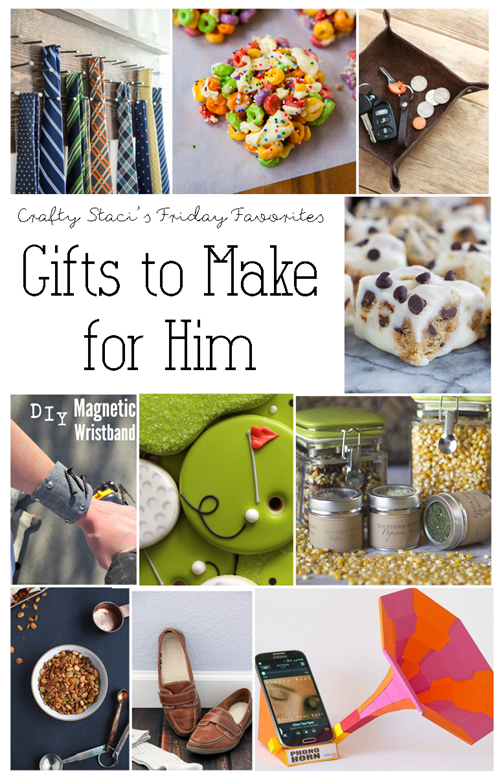 If you want to make him a gift, I say fire up that glue gun, stand mixer, router or whatever tool you need to make it happen! It never hurts to give him something he might be likely to share with you, like this Rustic Popcorn Sampler from DIY Projects. Make his feet more comfy with these Easy Sherpa Shoe Inserts from Sewing Rabbit. I don't know why, but that fact that there's actually a hole in these Decorated Golf Cookies from Sweet Sugarbelle cracked me up. This Magnetic Wristband from My Altered State is genius! I've fished SO many screws out of the dryer. My husband would love these Malibu Rum Fruit Loops Treats from Averie Cooks, a more grown-up version of his favorite breakfast cereal. If you've gone with "I'll just give him a tie" one too many times, he could probably really use this Tie Rack from Craftaholics Anonymous. Put a smile on his face with this Milk and Cookies Fudge from Back for Seconds. Everything in those pockets has to go somewhere when he gets home. This Leather Catch All Tray from eHow is a stylish solution. 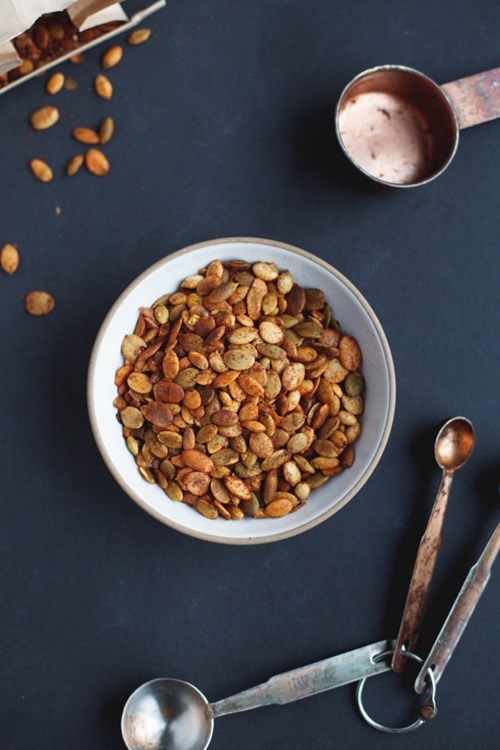 These Moroccan Spiced Pepitas from Snixy Kitchen sound delicious, and just the right amount of spicy. 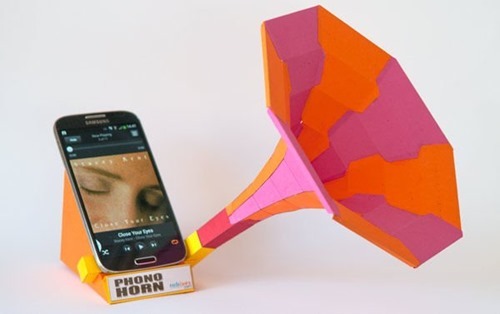 If he likes to listen to music this Smart Phone Phono Horn from robives on Instructables might be a good gift for your guy.